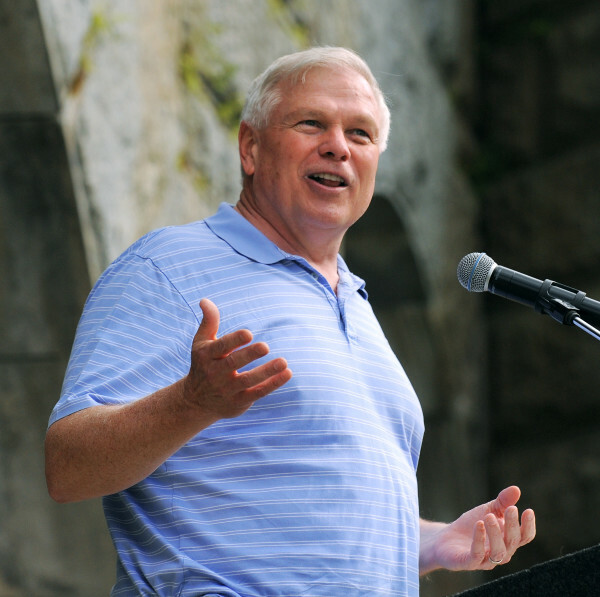 DEXTER, Maine — Steve Robinson used to listen to the Howie Carr show while riding around in his hometown of Dexter with his father and grandfather. Starting Monday, Nov. 10, Robinson will become part of the program. Robinson said that he was hired as an in-studio producer for the conservative radio show with an opportunity to host the program during Carr’s vacations and days off. Robinson is a frequent contributor to WGAN’s morning news, the Ray Richardson show on WLOB and hosts The Robinson Report, a regular series featuring interviews with Maine political figures. His first appearance on Carr’s a fternoon program was prompted by a study of EBT card misuse posted on The Maine Wire, which the talk show host noticed. But a “roast” of WGAN personalities Ken Altshuler and Mike Violette on Oct. 10 in Portland led to his new job, Robinson said. Robinson graduated from Dexter Regional High School in 2007 and earned a bachelor’s degree in government and legal studies from Bowdoin College four years later. After working in Washington, D.C., for a book publisher and Human Events, a weekly newspaper that recently went online-only, he returned to Maine as a policy analyst for the Maine Heritage Policy Center and editor of The Maine Wire. Carr was born in Portland and still has a loyal following in Maine, even though his base is firmly rooted in Boston. He’s written “The Brothers Bulger,” “Hitman” and several other Boston organized crime books, and he also has a regular column in the Boston Herald. Carr is a staunch conservative and takes frequent jabs at Bay State liberals such as Sen. Elizabeth Warren, Gov. Deval Patrick and U.S. Secretary of State John Kerry. After a long-running feud with his flagship station, WRKO in Boston, Carr’s contract expired at the end of September, and he’s signed up with Global Media Services to take his program nationwide starting Nov. 10. However, Robinson said that Maine listeners won’t notice any difference. “He’ll still be on the same stations up here [WVOM in Bangor, WEGP in Presque Isle and three others] and Sandy [Shack] will still be with us,” he said. Robinson said that while Maine is often considered a moderate-to-progressive state, “It really depends on where you live. Southern Maine, with a lot of young hipsters, is very liberal. But the unifying characteristic of the state is that about 60 percent of our residents have this rugged individualism. I call them the ‘leave me alone’ conservatives. That’s who we’re reaching,” he said. While Robinson isn’t sure when he’ll have the opportunity to fill in for Carr, he said that listeners can be sure of one thing. “We screen our calls, and I’ll always give preference to listeners from northern Maine,” he said.